S.B. 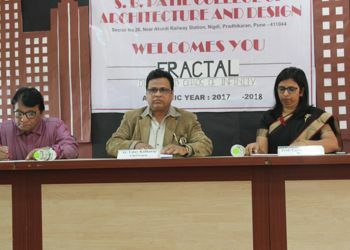 Patil College of Architecture and Design welcomes the new batch of building architects on 21st August,2017 with a grand welcome. Ar. 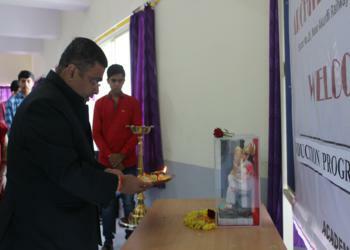 Uday Kulkarni was invited as the chief guest to address the students and wish them all the best for their academic year. 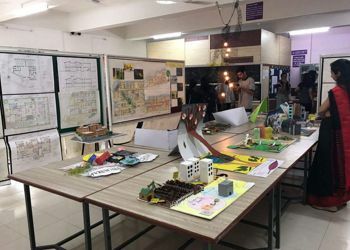 The first year students were also welcomed by an informative and interactive sessions on Architecture, wherein the creative souls explored their ideas and created 3D posters based on current social issues. 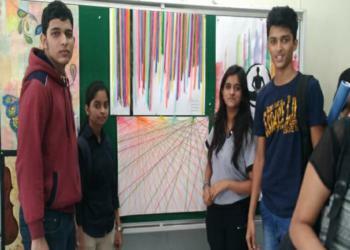 These creative posters were also exhibited for their parents. This session helped them communicate and get acquainted with their classmates and teachers. Induction Programme was held on 1st August 2018 in SBPCOAD for first year architecture students as per the commencement date given by DTE. 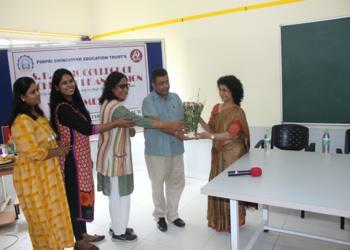 The event was anchored by Prof. Kavita Patil and Prof. Prajakta Thamke. 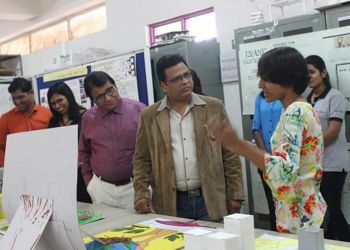 The programme started at 9:00 am by lighting of lamp ceremony by Dr. Vasudha Gokhale, Chief Guest and by Dr. Mahendra Sonawane, Principal of SBPCOAD. Then the inspirational and informative talk given by Principal which made students more comfortable. 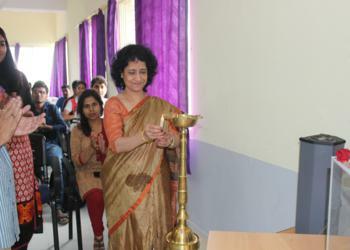 Programme followed by the motivational speech by our Chief Guest Dr. Vasudha Gokhale. 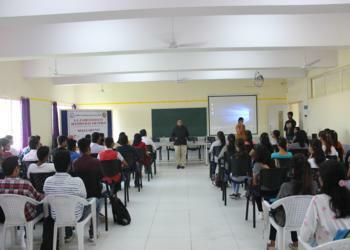 Followed by an inspirational video by Prof. Chitra Srivastava. 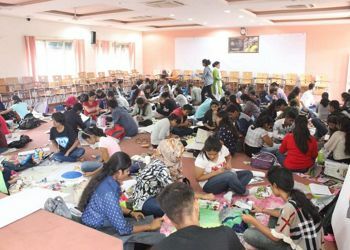 Then the introduction of all faculty members and students were carried out and even the senior students also shared their experiences with first year students and then the programme got concluded by Prof. Preeti Pawar kale. 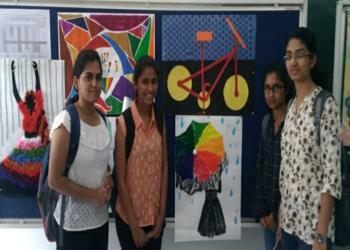 On 2nd August 2018, students was asked to get some material so at 9:00 am -10:00 am class teachers introduced to syllabus and the general introduction of subjects to the respective classes and then the activity was held in the group of 4 students in which they have to make a A1 size sheet which shows different emotions and feeling through different colorful materials. 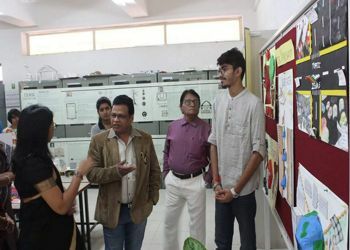 They presented their concept in the front of faculty members.